Date notes: I was on a four hour hike from 10:00 am until 2:00 pm, the sighting could have been any time in that range. Observation notes: Until I got an ID book on butterflies, I thought there were hundreds of monarchs on the hike to Cone Peak (35m east of Sweet Home, Willamette Nat'l Forest), but they might have been this species. I didn't get more photos. 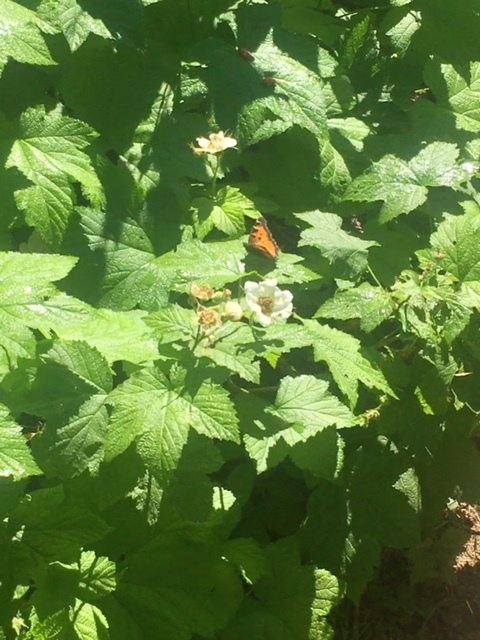 There were hundreds of butterflies though!